The Klick is in great shape for the opener, June 1. Clarity is about 3 feet. 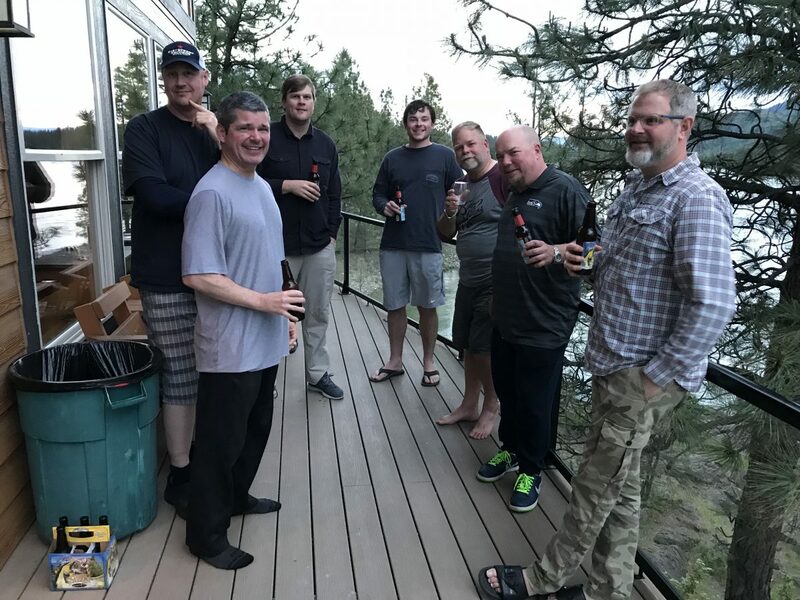 The Yakima is in GREAT shape. Clarity is as follows…. 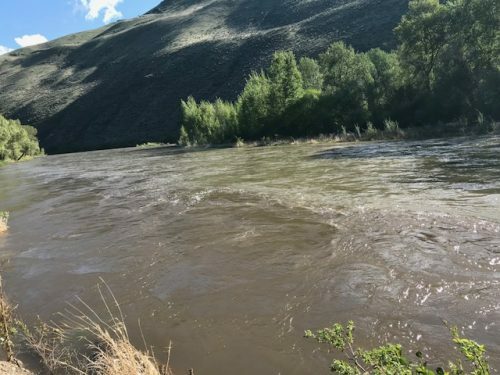 Record flows for the past 10 years…… We have about 2.5 feet of clarity with our main tactic being the nymph. Scratching out a few fish but a ‘little tough’ right now. 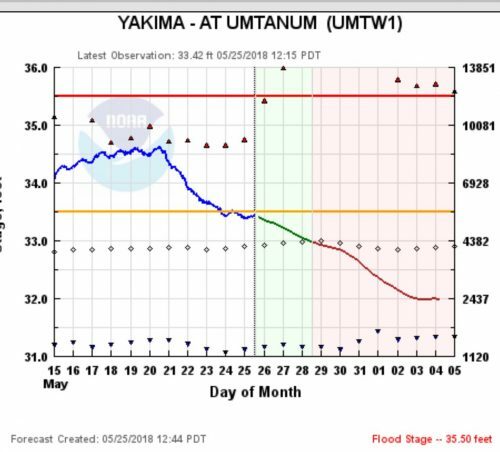 The extended river forecast for the Yakima looks GREAT. In fact the river is ‘fishable’ today and will get only better over the ensuing days! 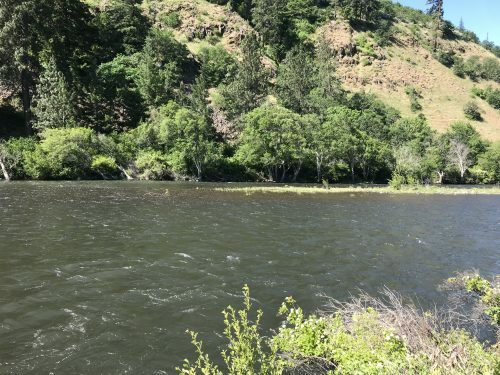 The Yakima river continues to be in full run-off as most western streams are as we speak…. Non ‘fishable’. 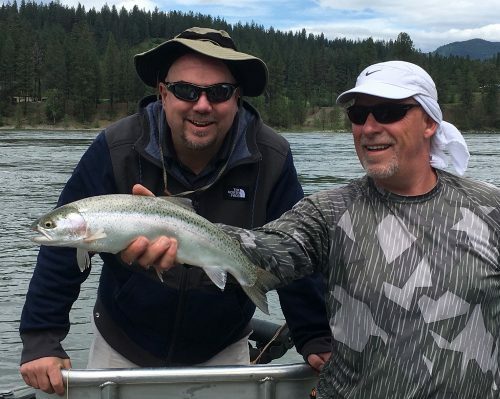 RESERVOIRS are full and the Yakima is in full run off! 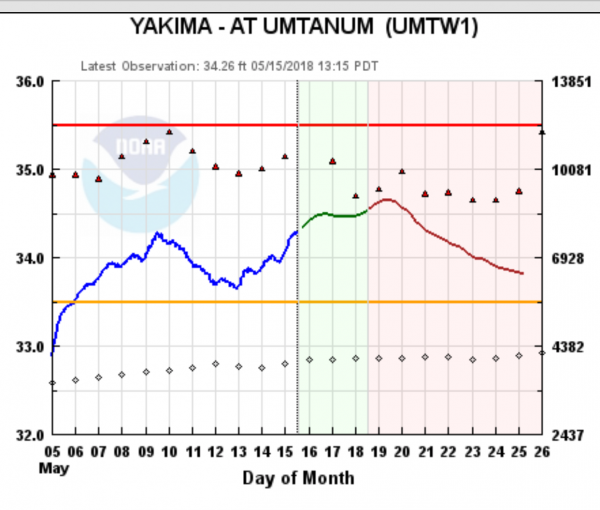 The clarity on the Yakima is ‘not so good’ below the Teanaway – See chart above. 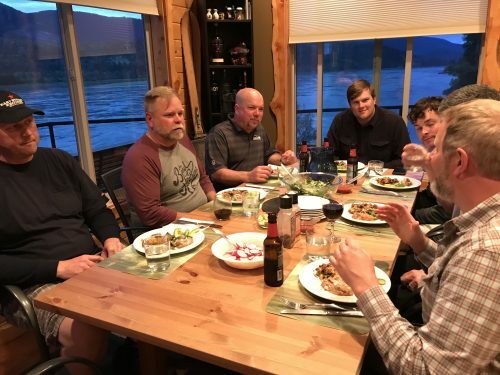 As per usual at this time of year we are going to see some good to great fishing between now and stabilization; we are also going to see some tough fishing. The lake is filling currently as the Kootenays, Selkirks etc… have ample snow. 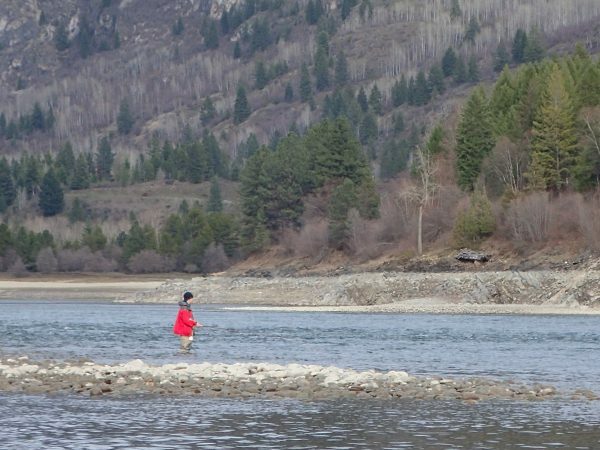 When fishing the Upper Columbia you are actually fishing water from the Blackfoot and Bitteroot, as they both flow into the Clarkfork, which then flows into the Pend Orielle, which flows into the Upper Columbia! 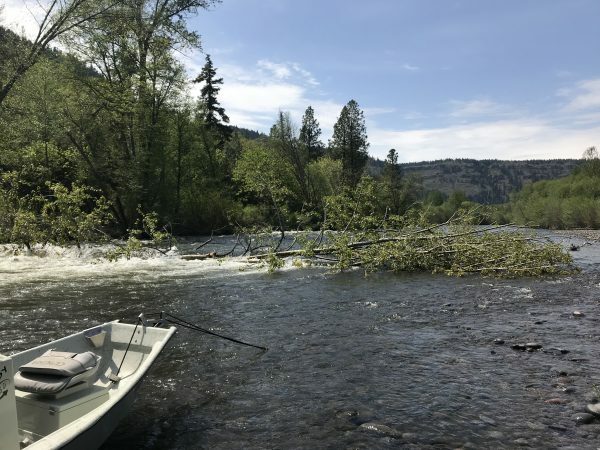 Regardless, flows are managed and the Upper Columbia is one of those rivers that hardly ever blows out. 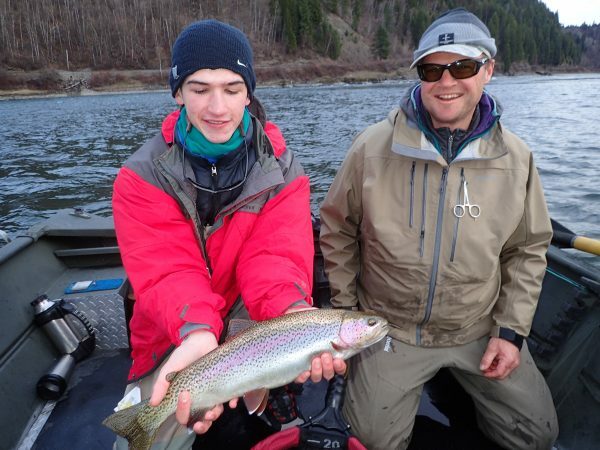 There will be some days that will be tough, but generally the fishing can be good, even great through run off. 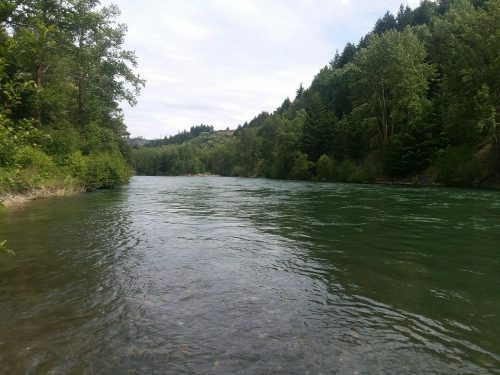 River looks great. Floated from Stinson to Icehouse the other day to enjoy the day and observe any major changes in the river. There are few changes and one complete blockage about 3/4 of a mile below Stinson.